... will be the title of an upcoming post. But not this one. 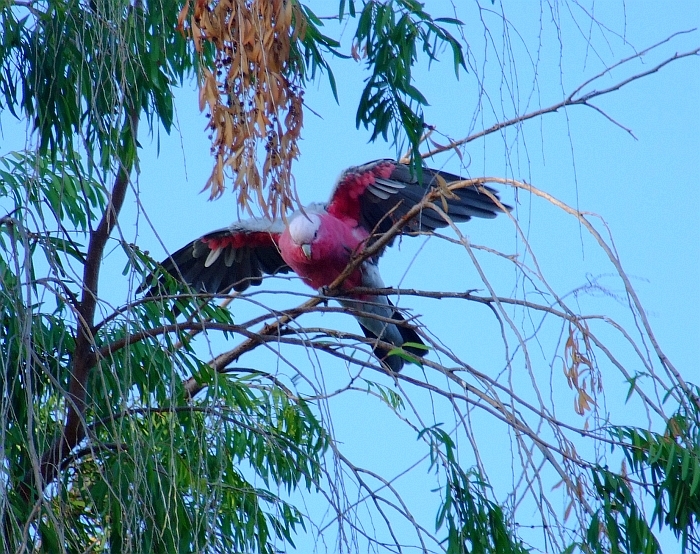 This one concerns lemons, beer, dead critters, lazy critters, live parrots, and a pool. Don't those all seem to go together nicely? Well, in my world they do, so tough. Firstly, about the fermented lemons from last post. Yes, Liz, you can actually drink it. And it tastes good too. But to make it taste even better you boil the bejeezers out of the water, sliced lemons, and sugar. Then you let it cool to around 75 F. Then you skim out all the rinds and such. THEN you add the yeast. But that's a lot more work and lot more time consuming. That's why I posted the "quick 'n' easy, cheap 'n' sleazy" method first. Not that I'm any of those, ahem. We'll be bottling our beer today (or at least when you read this, could be tomorrow if you don't check in regularly). 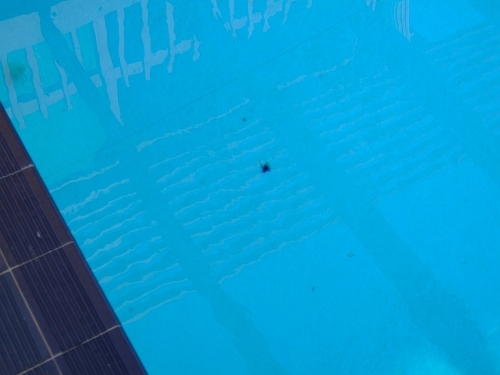 But before we do that, how's about a picture of the bottom of the pool? 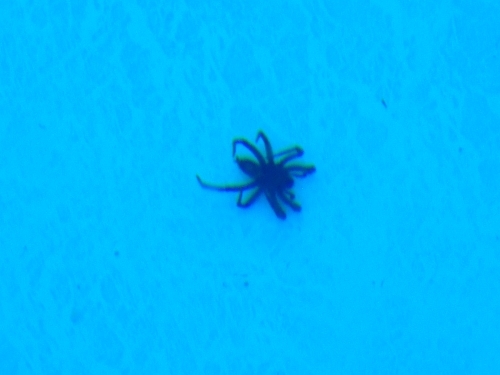 Oh, it's just a drowned huntsman spider, no worries. 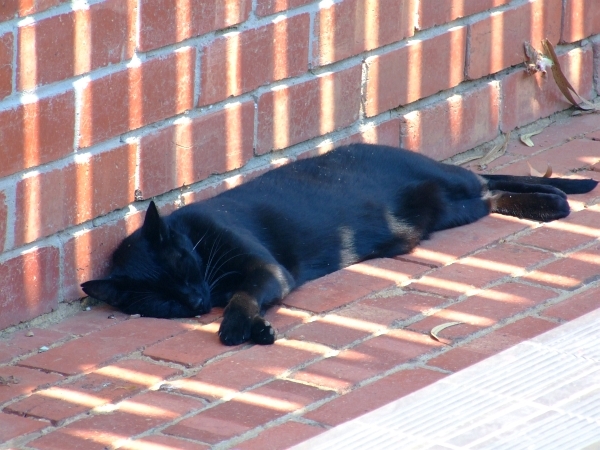 Oh, it's just the cat doing what he does best on hot days... toasting himself on the hot bricks that I can't even walk on barefoot! Hey cat! Wake up! There's an evil creature about looking to kill a critter! Here comes Sarah Palin!!! Watch out! I'll have you know that cat did escape and has lived to sleep another day away. Now for a deft switching of topics... BEER! 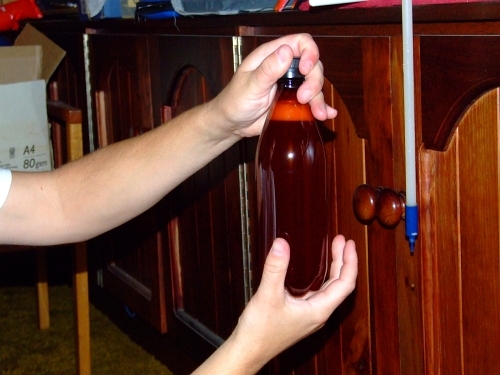 Specifically the bottling of the brew. 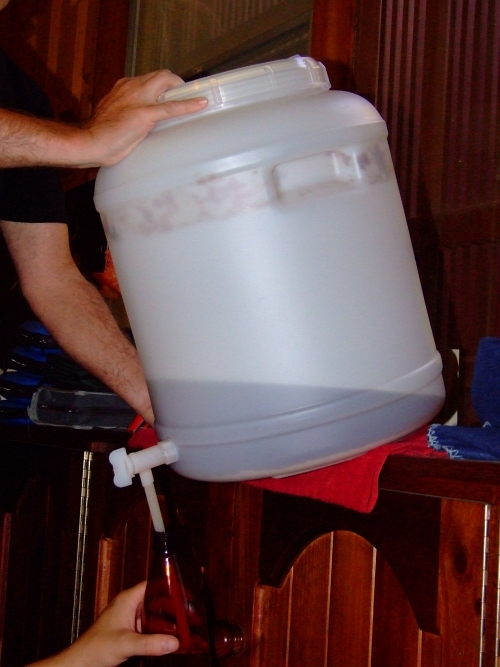 This is what the primary fermenter looks like after seven days. 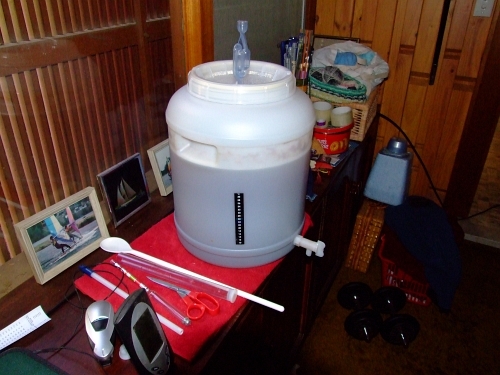 I've been taking an SG reading each day and this ale ended up stabilising at 1012 for 3 days. It's ready! It started at 1052 so the alcohol content comes to 5.86%. It's going to go into the bottles of the top two boxes. 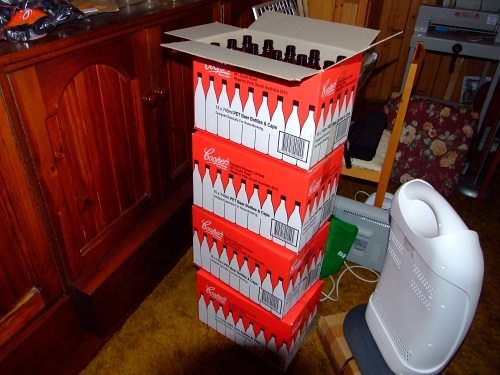 Unlike wussy sized beer bottles, these hold 750 mls each. So the 30 bottles would be equal to 60 US sized beers. Pure, 100% glucose. Unlike the brewing sugar which is dextrose and maltodextrose. 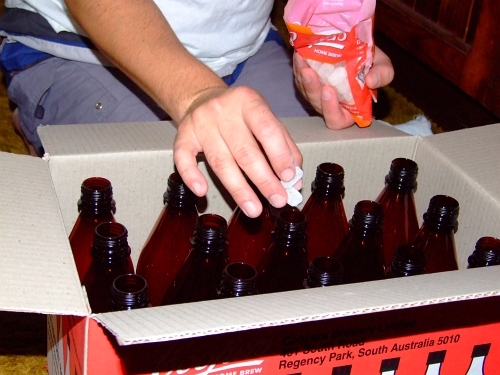 Now to get the beer into the bottles... Heck that's easy, just unscrew the lid and start pouring! I joke. Again, Coopers makes it easy. 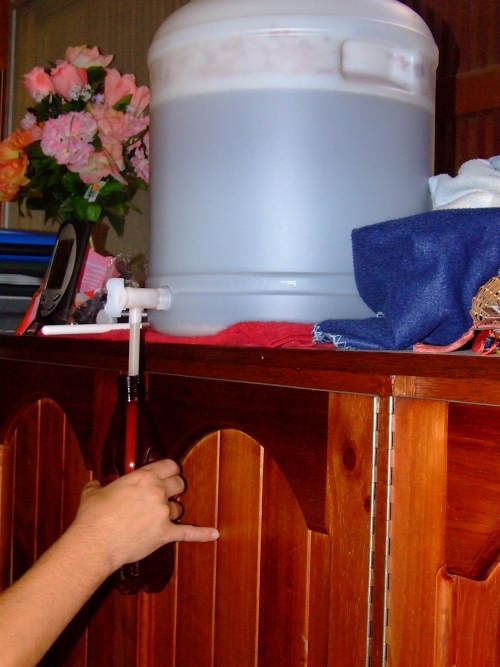 The have a attachment that fits onto the spigot that has a little float valve at the bottom. That way not only are you not turning the spigot on and off, but you are filling the bottle from the bottom up. That way it doesn't foam and waste space in the bottle that could otherwise be used for more beer. And then you do it again... and again... and again... Eventually the flow will become very slow. That's when you get WP to tilt the fermenter at an angle. See that pale sludge in the bottom of the fermenter? When you are done make sure you keep some! Wonderful active yeast that makes very tasty bread! The bottles need to sit for a week in a warm spot. Hence the temp gauge on the floor. 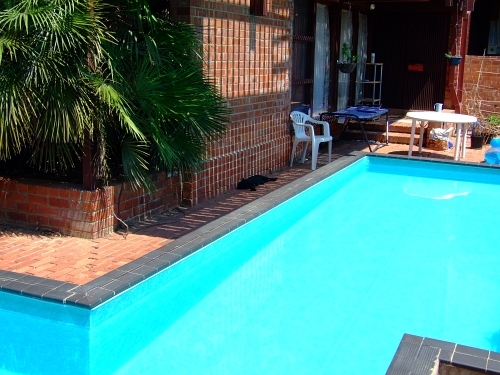 27 C is the upper limit you want. 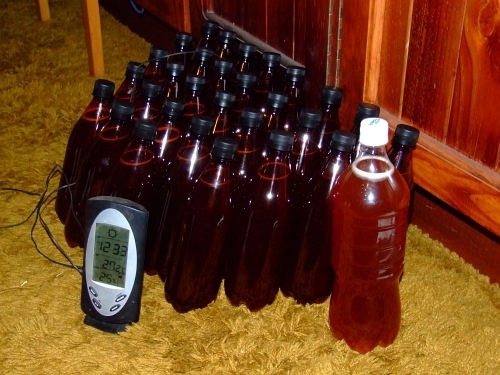 This batch of ale went from cloudy to clear after 6 days in the bottle. Waa-Laa! Beer! Ugh on the spider...loving watching the beer-making process...and all three of the LinkWithin articles currently showing at the bottom of this post contain various combinations of the words "Sarah Palin Naked"....hmmm. 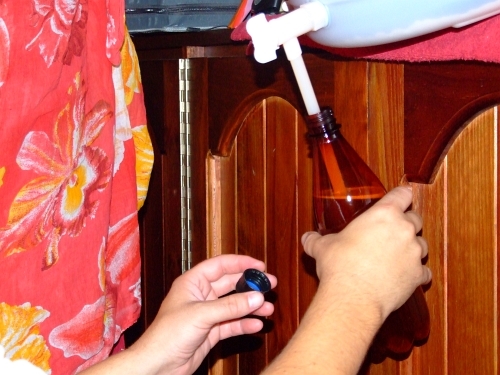 The spigot attachment is brilliant! Imagine that, no more messing around with funnels all the time. Gold star to whoever came up with it! I still think your cat suffers from some form of heat induced brain damage. Very interesting process....too bad Palin has returned to the headlines. Loveanewidea: Mmmmmmmm, spiders.... drool... But the beer is better. As far as beer sizes: I'm glad that 750 ml bottles are getting popular up there, but I'll bet cheapo 12 oz cans still outnumber them by several orders of magnitude. Yes, the cat is weird. And crazy. And he has big, sharp, pointy, teeth! Sciencebloke: Brewing is fun and informative! And tasty too. Many apologies about SP... I was in Alaska waaaaaay before she got there. She ain't an Alaskan, and she has no knowledge of bush hospitality.